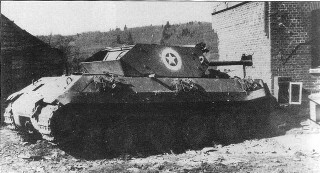 The Ersatz-M10 is one of the strangest and most infamous variants of the Panther. 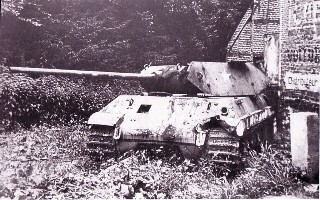 Actually, it is not a Panther variation, but a "disguise" of the normal Panther Ausf. G. As part of the Ardennes offensive in 1944, the Waffen-SS and sections of the army subordinated to Otto Skorzeny planned to sow panic and confusion among U.S. troops by operating behind the American lines, wearing American uniforms and in captured American vehicles. The name of this operation was "Grief" (Griffon). 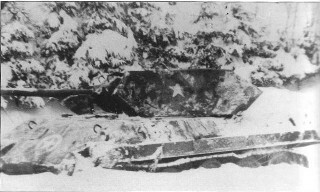 As they lacked, in particular, captured American tanks and assault guns, some modified Panthers with fake markings were provided. They were identified as vehicles 4, 5, 7, and 10 of the 'B' Company, 10th Armoured Regiment, 5th Armoured Division. The markings for the fifth Panther remains unconfirmed. 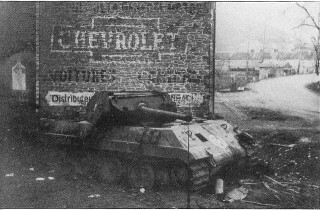 This is the evidence detailing the Panther conversion as Ersatz-M10. 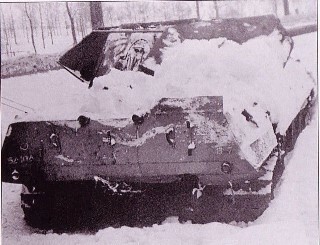 A total of five vehicles from the Panzerbrigade 150 were modified. This brigade was recruited from the staff of the 4th Company of the I. / Pz.Rgt. 11. The five Panthers were newly produced vehicles directly shipped from the army material agencies (Heeres-Zeugämter) to the Brigade. 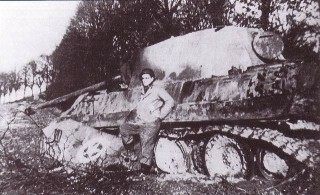 The conversion work was carried out in November / December 1944 in GRAFENWOEHR. 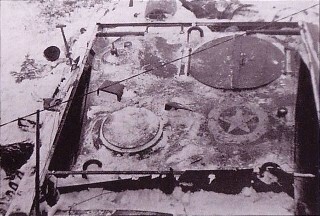 Specifically, a sheetmetal bodywork, creating a passing resemblance to the M10 silhouette, was installed to each vehicle, the commander’s cupola was removed and a simple hatch with scissor-scope was added. There are minor differences between individual vehicles. Allegedly, even the gun barrel should have received sheet steel plating, but this detail is not visible on any surviving photos. In the opening few hours, the operation had the desired effect, with American soldiers detaining each other because they thought they might be German soldiers in U.S. uniforms. 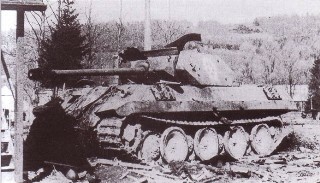 However, the cover for the whole operation was quickly blown and all Ersatz-M10 were destroyed. They were sent to the slaughter in an offensive action for which they were not intended. This happened on 21st December 1944 on the road from Stavelot to Malmedy and on the opposing side there were sections from the 120th Infantry Regiment, the 823rd TD Bn and 291st Eng Bn. 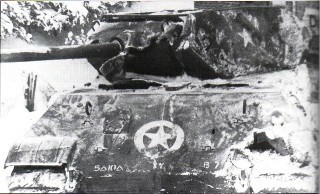 During this combat operation the American markings on the Panther were covered with tarpaulins and sheets. A calculated gamble or not, the completely illegal use of enemy insignia to disguise an attacking force resulted in the summary execution of those captured wearing American uniforms. This served only to harden resolve on both sides and increase casualties. 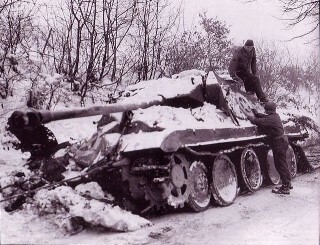 The irreplaceable loss of veteran German troops and vehicles in the Ardennes only hastened the collapse of the Eastern Front.